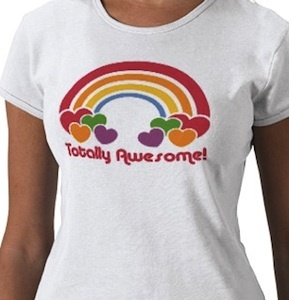 This t-shirt shows you a rainbow and hearts and the words “Totally Awesome!” and that fits perfectly with you as you are awesome and loving. You can get this t-shirt for adults and kids and even in different shirt styles to fit your needs. But any one who is awesome and loves hearts and rainbows just wants to own a t-shirt like this. Go check out this Totally Awesome T-Shirt.